Mumbai is one of India’s most happening cities as if offers something for everyone. Whether you want to hang out with your family, friends or partner, this vibrant and bustling modern city offers a range of things to do and places to try out. There are also good play options for kids and easy on the pocket hang out options for students on a budget. So, if you’re looking for some of the best hang out place in the city, look no further than this list. This is one of the most romantic and popular promenades to watch the sun set. Relax by the cool sea breeze or walk on the promenade which even has a small outdoor gym, Kids Park and a walk of fame. This area is also home to celebrities such as Salman Khan and Shah Rukh Khan. If you and your partner want to celebrate then make sure to book a table at the rooftop bar, Aer. It offers delicious drinks and a stunning view of the city. With tasteful interiors and a smart vibe, Aer is popular for couple dates. Do try to head here before sunset as the view is magnificent. One of the city’s cutest cafes, if you’re in South Mumbai, this is a must visit place for a night time coffee and dessert with your partner. Their macarons are city famous and the ambience is inviting and chilled out. This is a great option for a evening out with your better half. Here you and your sweetheart can enjoy some live music as well as grab a bite at the wine and mozzarella bar. For an enjoyable evening out, this happening new spot is a must visit. This popular brewery offers a small but potent selection of beers. With board games, a delicious menu that includes yummy apple cider and even a mango beer, this easy going brewery will ensure you and your pals have a great time. This is a nice spot to grab a few beers on the weekend. With an upbeat atmosphere and great beverage options, it’s a popular spot for post work drinks on Friday. Their branch at Chhatrapati Shivaji International Airport, Mumbai is open 24 hours. This is a popular spot for all age groups and it is bustling nearly all days of the week. They have some delicious comfort food on offer and some even better cocktails. They cater to large groups and is fun to visit with friends for brunch as well. This is one of the city’s most popular hangout joints and sees people jogging, grabbing a cup of coffee or simply walking, late into the night. It’s a great spot to visit with your friends as you can simply hang out on the sea face or take a walk down Carter Road’s khau galli for some fun eats. This one of a kind park in Mumbai is a big hit with the children in the city as it offers them the experience of playing in snow as well as trying out some fun rides. Some of the activities include snowboarding, ice skating, ice sliding and lots more. There are a number of games for all age groups including bumper cars, air hockey, football and even a café that serves a number of kid-friendly food items. They even have go-karting. Kids love coming here because it is one of the most fun spots. For reasonably priced and filling food, Candies outlets in Bandra is a must visit. They have a good selection of juices, coffee and tea, as well as ready meals and snack items. Their dessert section is also very good. This is a cute hangout place to chill out with your friends after college and grab a reasonably priced coffee or tea and some snacks. Here you will find a wide selection of green, black and local teas as well as some good food items and baked goods. If you’re looking for hearty meal, then this Keralite joint ticks all the boxes. With a relaxed atmosphere, they serve both vegetarian and non-vegetarian food. Dosas, appams, idlis, medhu vadas, puri bhaji are all available as early as 6 am. 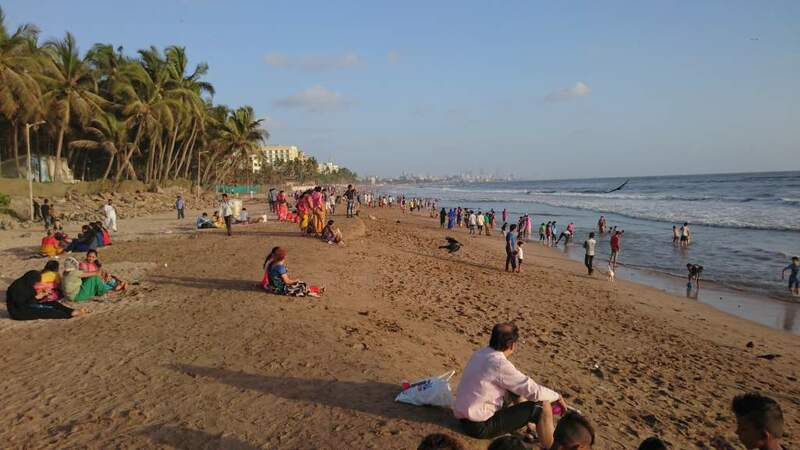 Mumbai offers some of the best views of the ocean thanks to its many promenades which are popular hangout spots for students. And one of the most frequented and well-maintained ones is Worli seaface. This promenade also has food festivals and art shows, which is worth catching when you can. If you’re looking to party on the weekend, then head to Trilogy with your gang to dance the night away. This high end club sees guest DJs come from across the world come to play here which draws in big crowds. They play really good dance music and have some of the best cocktails in the city. Do catch a table by the as this club is located on the 37th floor. It’s a little pricey but if you want to feel like a VIP then head to this Mumbai night spot on the weekend. Colaba combines several things you would want to do after the sun sets – shopping, food, drinks and dance. You can shop on the causeway on the cheap, then get some beer at Mondegar, followed by dancing at one of the many clubs/pubs in the area (145, Social, BSE are all around). Finally, head to Bademiya for a bite to eat (it’s open until the wee hours of the morning). From early in the morning to late at night, you’ll see entire families at Juhu Beach. They’ll be enjoying some food at the many stalls on the beach, doing a brisk walk, playing cricket or just messing around in the sand. A great way to catch up with family. Combine food with shopping on the Bandra section of Linking Road. A great place for trendy footwear and clothing, and lots of fast food options, you’ll often find families shopping together on this street. Once done, all of you could head to McDonald’s, Theobroma, KFC or one of the many other restaurants in the area. Mumbai will spoil you for choice when it comes to hang out places. Whether you want to chill by the sea face or dance the night away, this list ensures all your needs are taken care of. So, what’s the plan? Tell us about your experiences in the comments below.